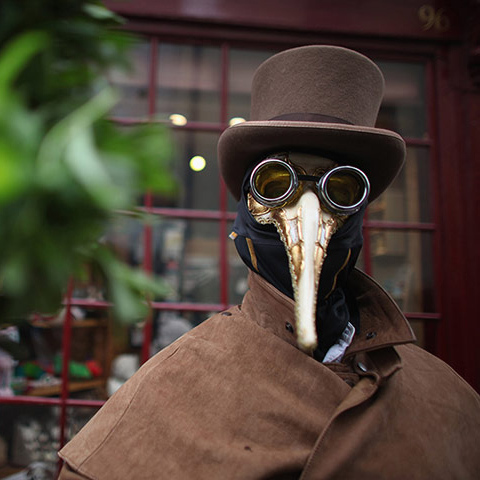 Whitby gothic weekend – in pictures from the Grauniad. Cracking photos Gromit. Whitby was partly chosen because Bram Stoker wrote his famous Dracula story in the fishing town with the Gothic Whitby Abbey as his inspiration. This year’s live acts included In The Nursery, Ugly Buggs, The Spiritual Bat and Last July. via Whitby gothic weekend – in pictures | Culture | guardian.co.uk. 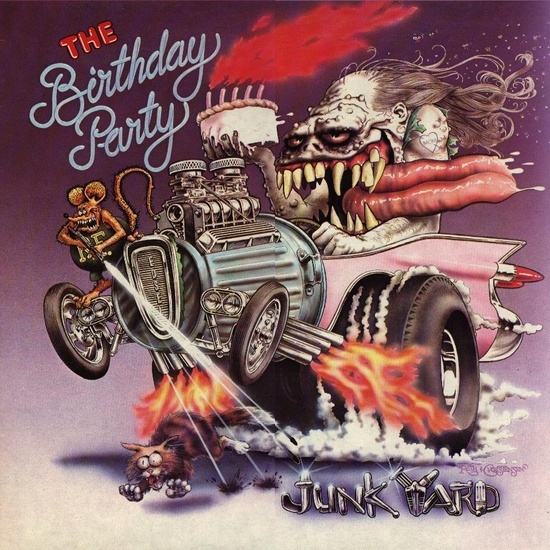 Released in May 1982, Junkyard’s uncompromising contents signalled both the oncoming demise of the band responsible for them and rock & roll’s logical conclusion. Harnessing the power of The Stooges’ Funhouse with the limitless possibilities offered by Captain Beefheart’s Trout Mask Replica, The Birthday Party were a product of the uncertain times that created them. With Thatcher and Reagan only just getting into the stride that would alter society, culture and economics beyond recognition, the tumultuous and apocalyptic music of The Birthday Party – though never making any reference to the outside world that existed beyond their own universe – was the unwitting soundtrack to a time of death, darkness and decay. via The Quietus | Features | Anniversary | 30 Years On: We Return To The Birthday Party’s Junkyard. Well, well, well the Neff are back. 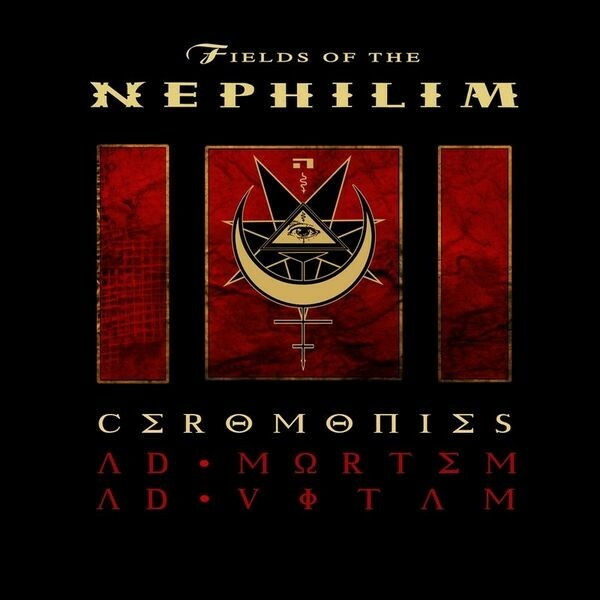 And I mean “the Fields of the Nephilim” – the first lot (even though I think only Carl McCoy remains from the original line-up) – not “the Nefilim” or “the Nephilim”. It gets confusing. I quite liked the Neff early on – Laura, Dawnrazor, Preacher Man. I didn’t think I’d ever see a more theatrical band in my life than Bauhaus, but McCoy, dressed in pure spaghetti western, cat’s eye contacts and covered in flour was a sight. Anyway, they’re back with a double CD and DVD combo called “Ceromonies”, with a sold out super-deluxe box-set version for £100. Their much later stuff was (apparently) more industrial, and a preview track (video inside!) is definitiely heavier. As memorable as the Cure’s “Lullaby” becomes after repeated listens, it only takes one viewing of the accompanying video to lodge it in your brain forever. 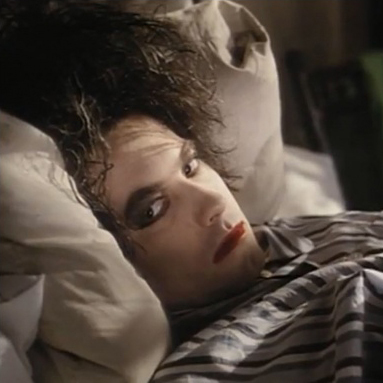 Awarded Best British Video honors at the 1990 Brit Awards, “Lullaby” is an artfully nightmarish ode to arachnophobia, with the Cure frontman Robert Smith drawing a close comparison to Johnny Depp in Edward Scissorhands as he’s serenaded by ghoulish bandmates, tormented by predatory versions of himself, and transformed in ways that would do author Franz Kafka and director David Cronenberg proud. via Nightmares Of The Cure’s Robert Smith | GRAMMY.com. Goth has been with us for 30 years. The term “gothic” was used by producer Martin Hannett to describe Joy Division’s sound, and a lot of the musical signifiers of classic goth rock – scything, effects-laden guitar, pounding tribal drums – are audible on Siouxsie and the Banshees‘ 1979 album Join Hands. But the notion of a goth as we understand it today – black and purple clad, dyed hair, a liking for the Sisters of Mercy – really formed in the early 80s. The makeup and increasingly elaborate clothing were a glamorous reaction to post-punk’s dour anti-image, the theatrical air of gloom a rejoinder to the jollity of 80s pop. And yet, it never went away, despite or perhaps because it was largely reviled, mocked or ignored by the music press. Bizarrely, goth’s commercial zenith, when Fields of the Nephilim, the Mission and All About Eve made the singles chart and the global success of the Cure’s Disintegration album meant they could briefly claim to be the biggest band in the world, was in the era of acid house and Madchester. 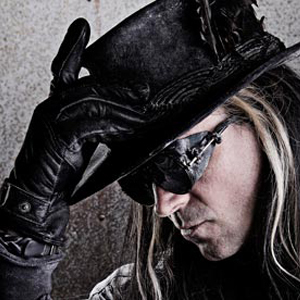 via Goth for life | Music | The Guardian. The BBC radio archives are an absolute treasure trove for goth, alternative and post-punk, (among many other genres) – especially from the seventies and eighties. Recording professionally in those days was expensive and bands did not enjoy the freedom of running a full recording studio in a laptop, so any high quality recordings from this period are to be treasured. 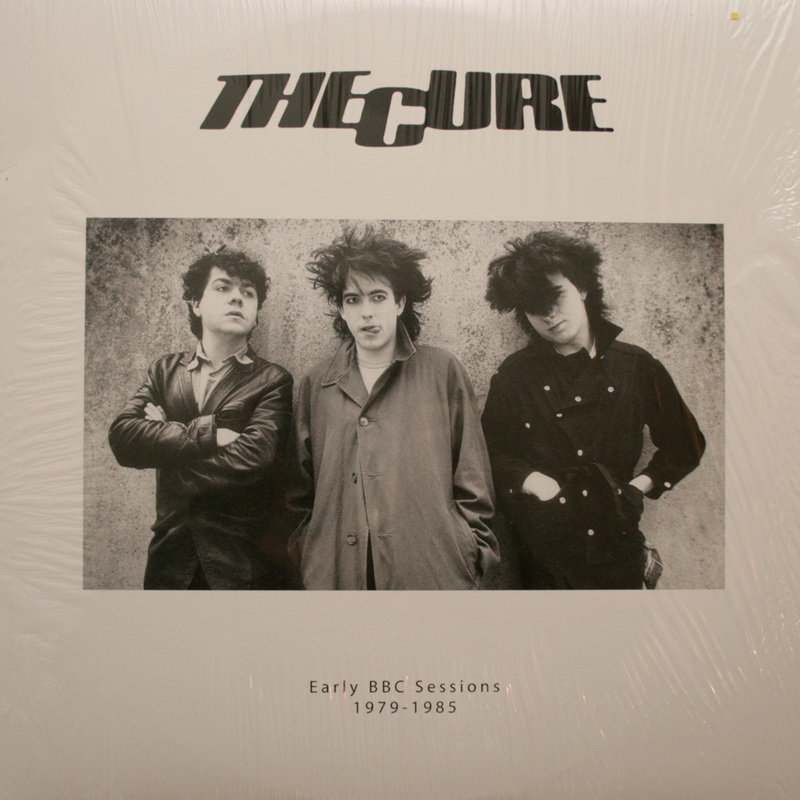 And of course John Peel along with David “Kid” Jensen and Richard Skinner provided many, many “sessions”. Bands recorded and mixed quickly and mainly live, and the result is raw, stripped down versions of tracks, often exposing their inner workings. Many bands would experiment with material in early formats – often entirely different song structures or lyrics. This was always going to be a complicated listen. I posted previously about this enigma of a band – one short LP in the last 28 years [profile | miniscule discography] – when the new EP “InGladAloneness” finally had a release date. Well, it’s here and it’s a mixed bag. But mainly good, I think. It is, of course, oh too brief. A mere five tracks not even hitting 20 minutes. Surely there were some remixes or out-takes which could have been included. The artwork, typography and booklet is lovely, and it is this kind of artwork which reminds me of why vinyl, and record cover’s large surface areas, were essential.